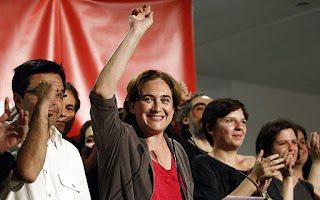 PARTIT KOMUNISTA MALTI: Success for the Left Parties in Spain. Success for the Left Parties in Spain. Euskal Herria Bildu and “En Marea a coalition of Left and Communist Parties from Galicia"
On the other hand, The Communist Party of Malta expresses its' solidarity with the communists in Ukraine, which are now being banned from taking part in local and general elections by the reactionary, fascist, and ultra-conservative government of Kiev. We're now visiting Malta, and is a real honor. I come from Spain. Probably we remain in your country until 5 january. Excuse my awful english. Never give up, comrades.